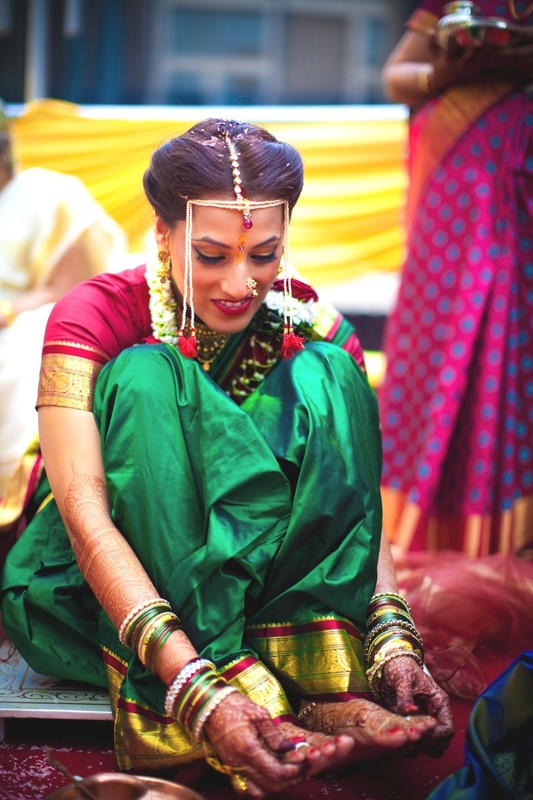 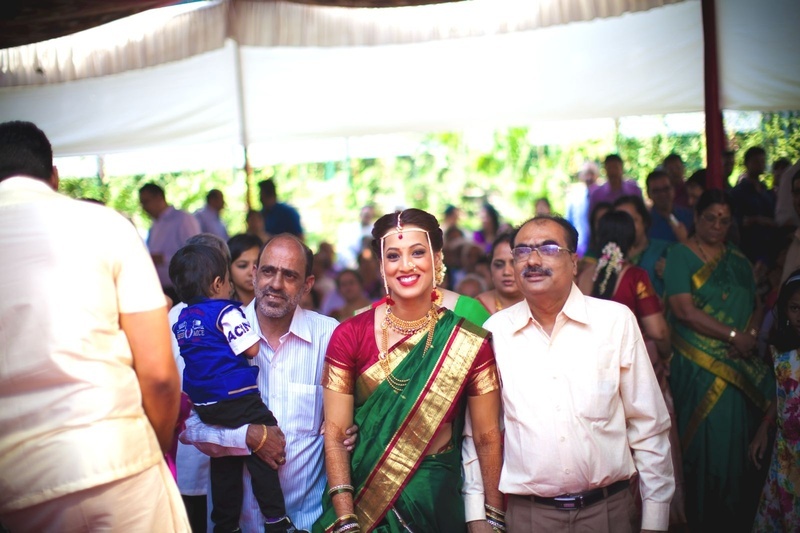 Have you ever been to a multi-cultural wedding? 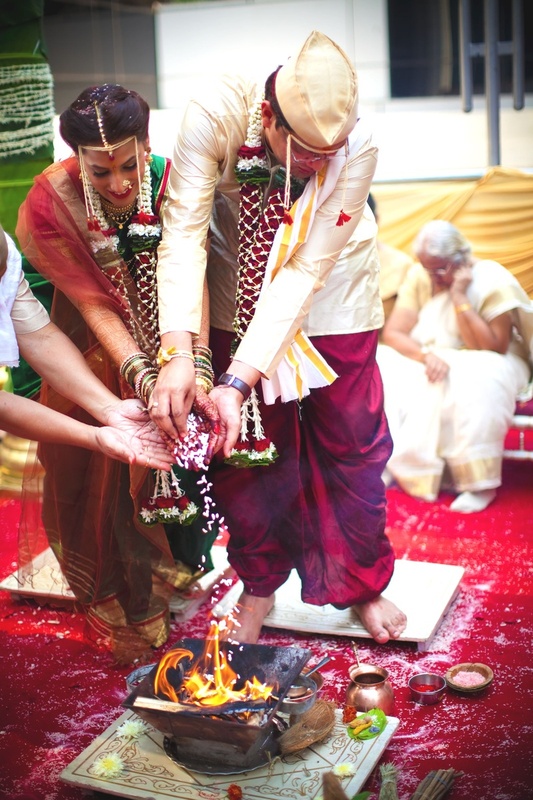 If the answer is yes, you would definitely know how fun it gets to witness two different marriages at the same time. 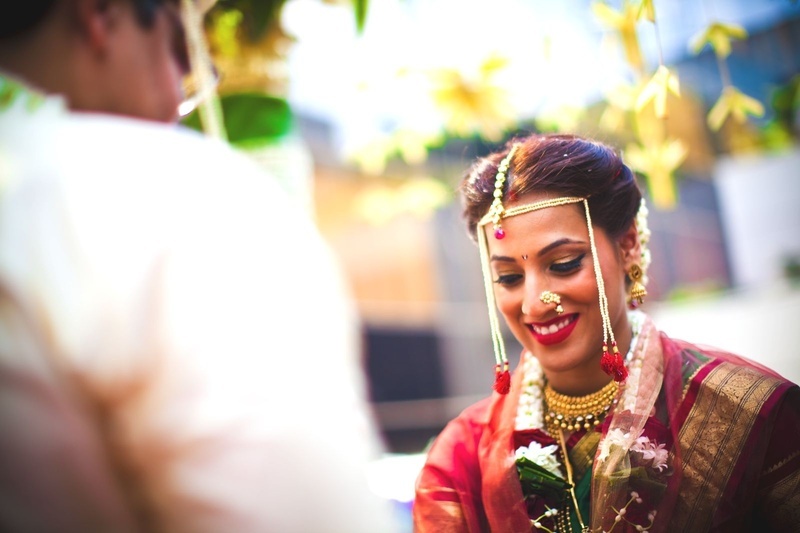 But if it’s a no, have a look at Deepa and Vineet’s marriage and you will exactly understand what we are talking about. 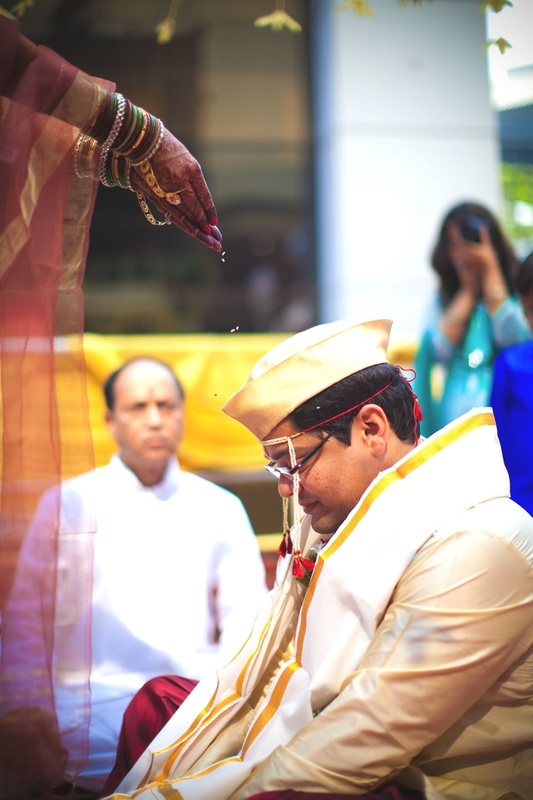 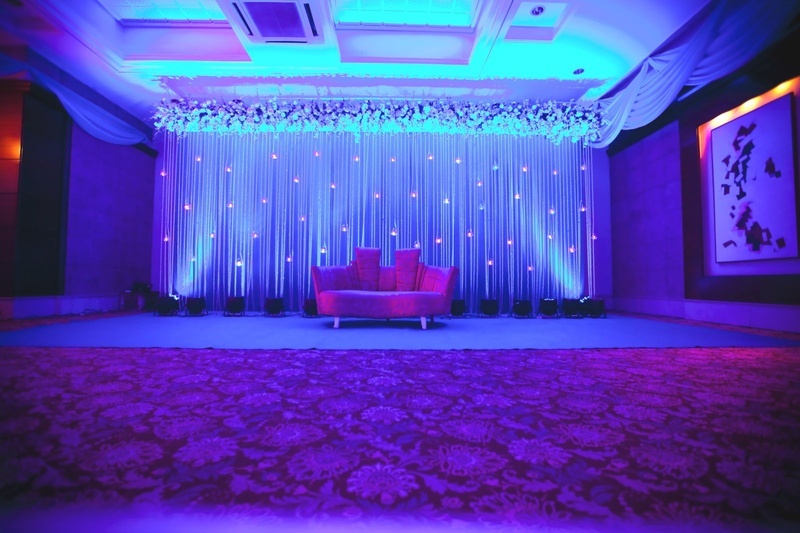 In a small mandap that stood in the premises of Mumbai’s Kohinoor continental, the nature-like décor was a classic example of how traditional weddings can easily be given a modern touch. 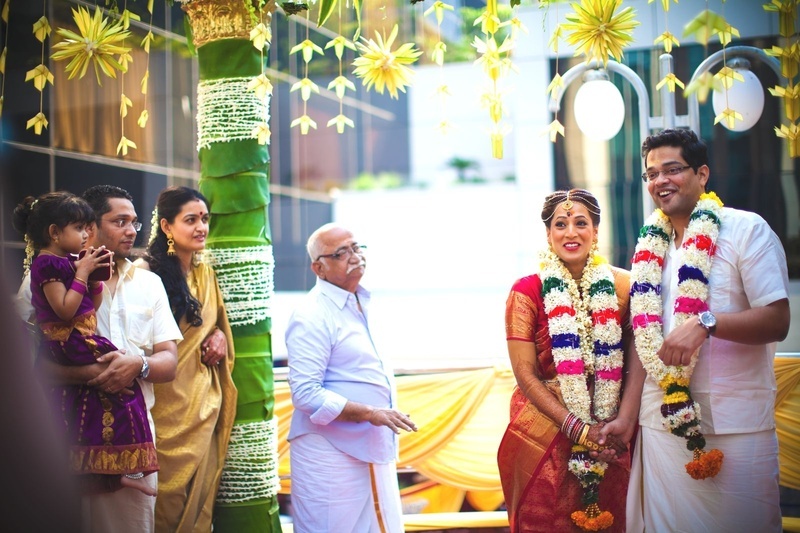 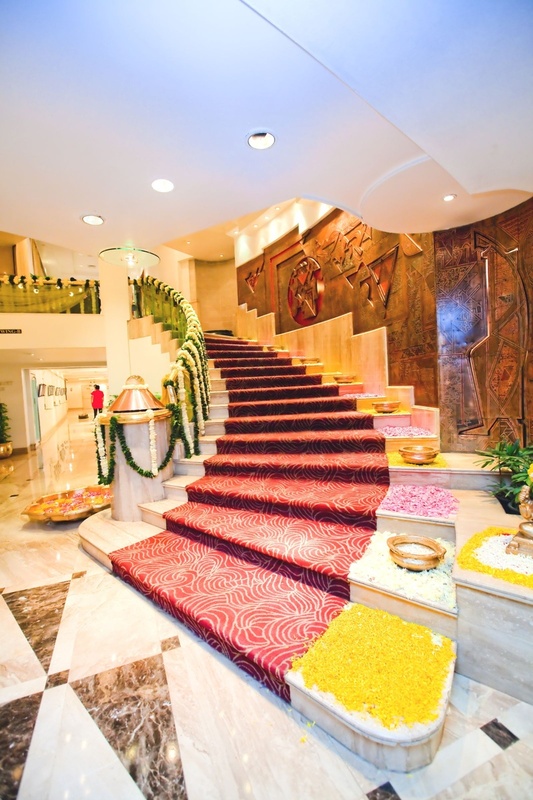 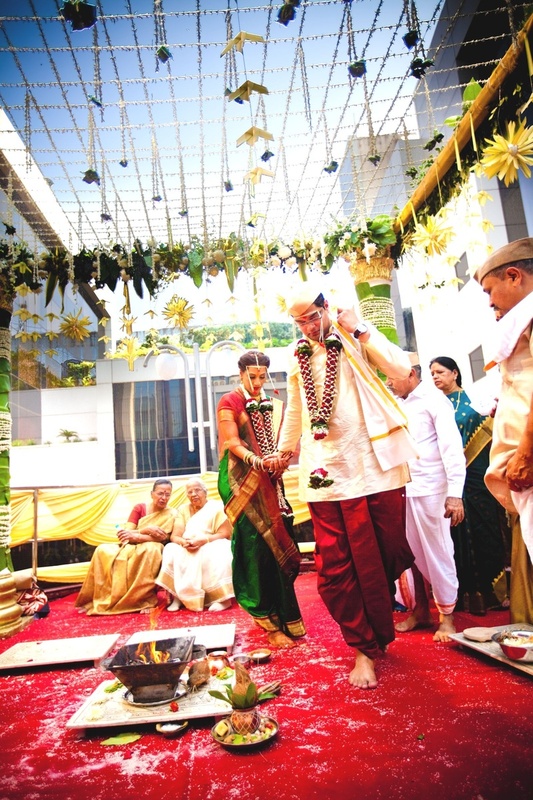 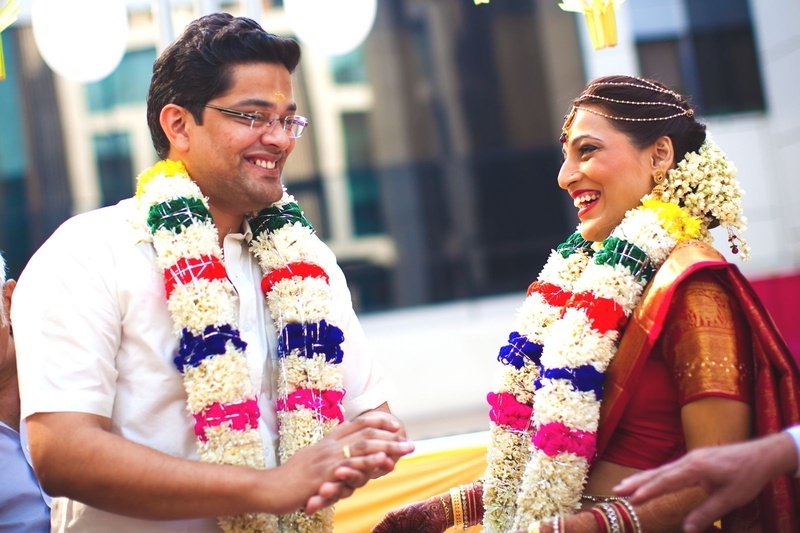 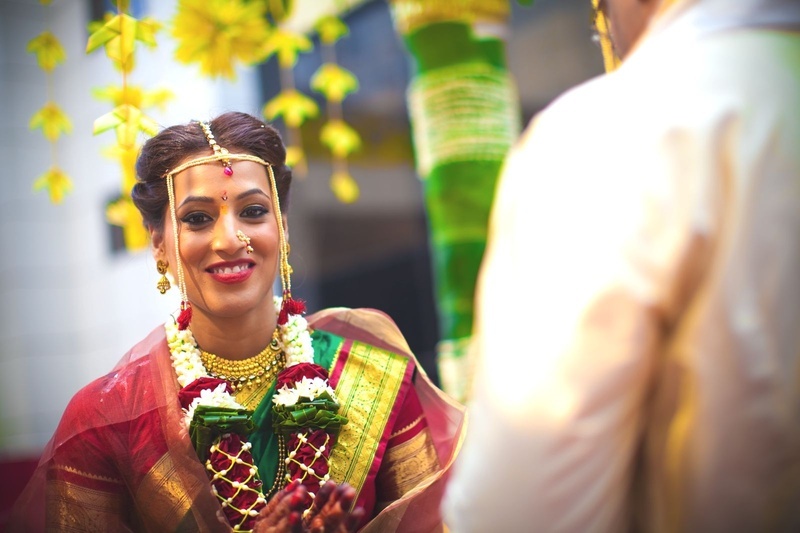 The four pillars of the mandap were wrapped in banana leaves and were interwoven with strings of flowers. 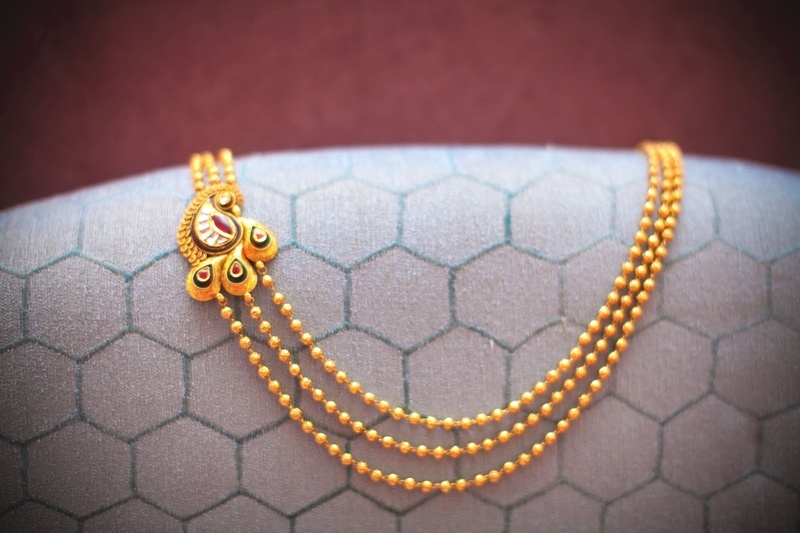 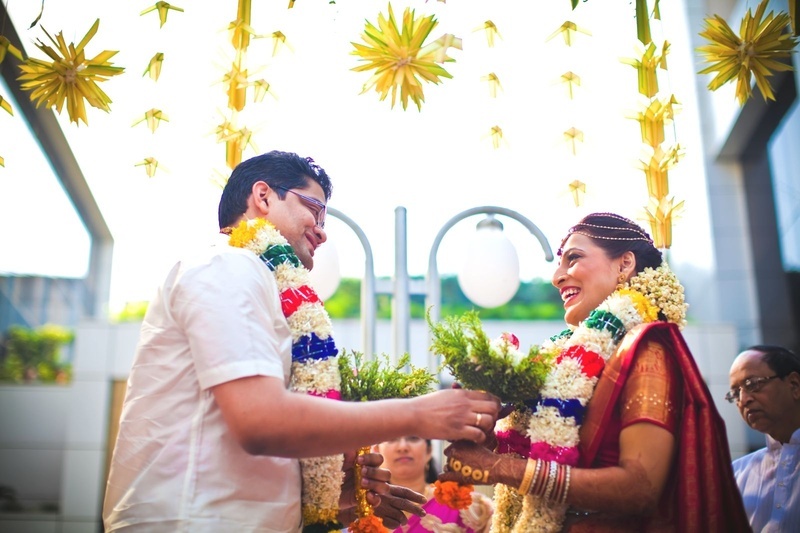 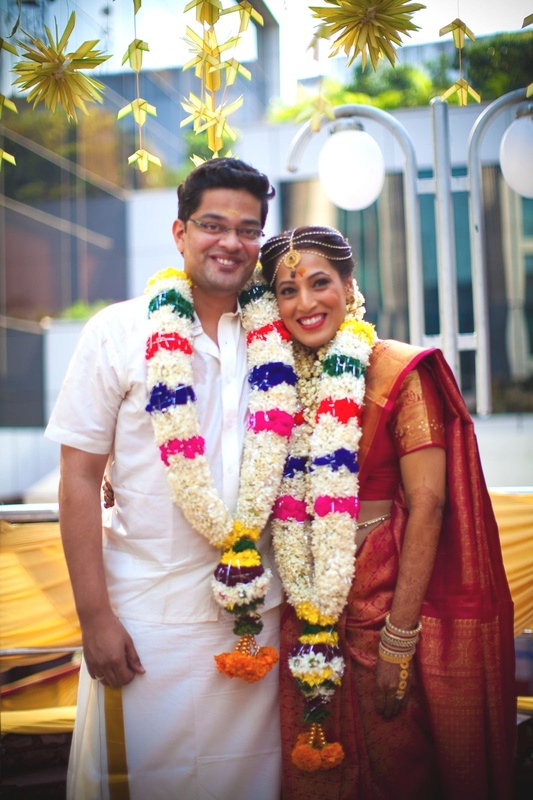 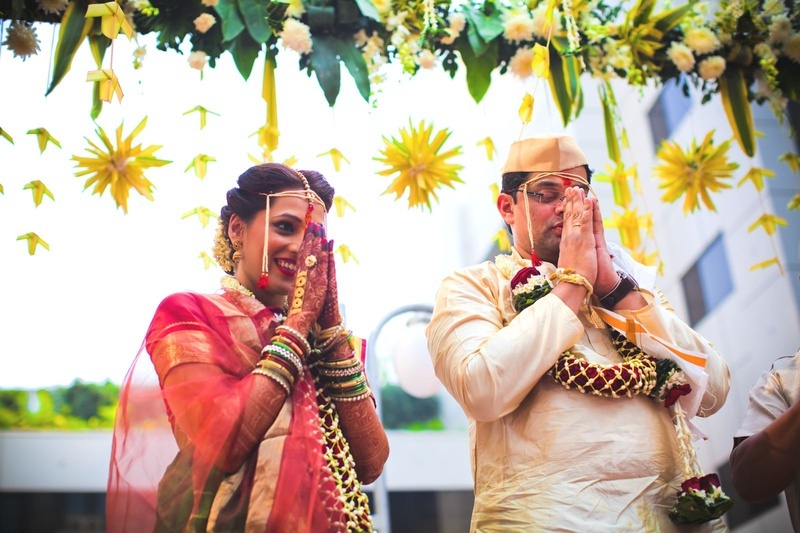 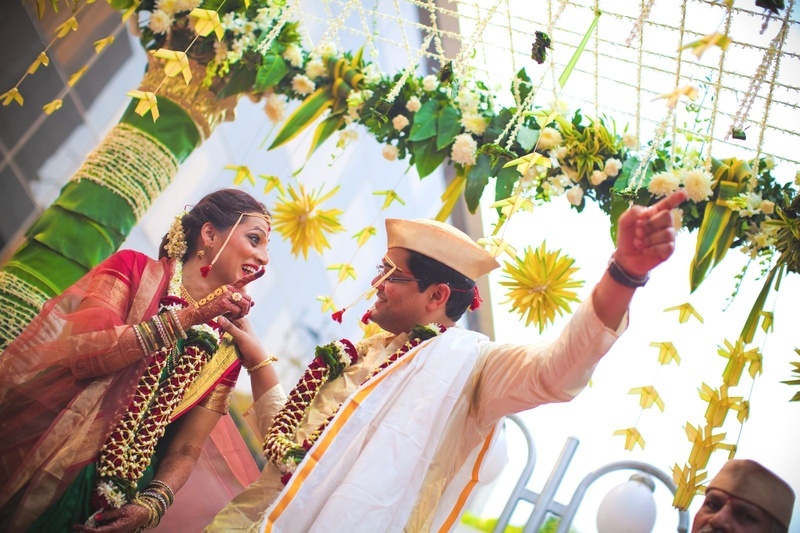 Porcupine-like yellow leaves in small, medium and large sizes stylishly hung from the mandap. 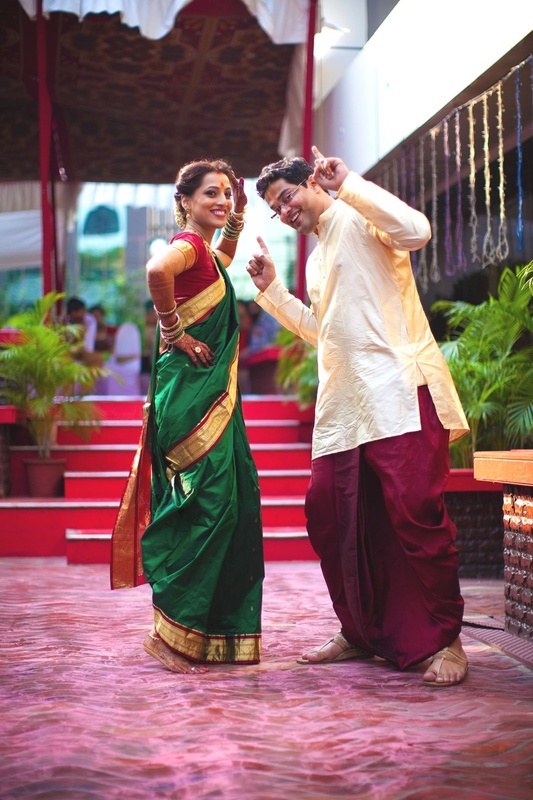 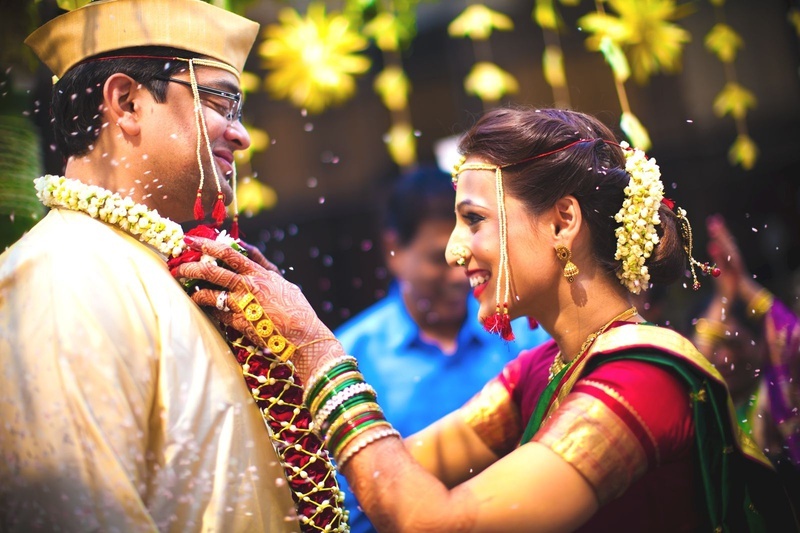 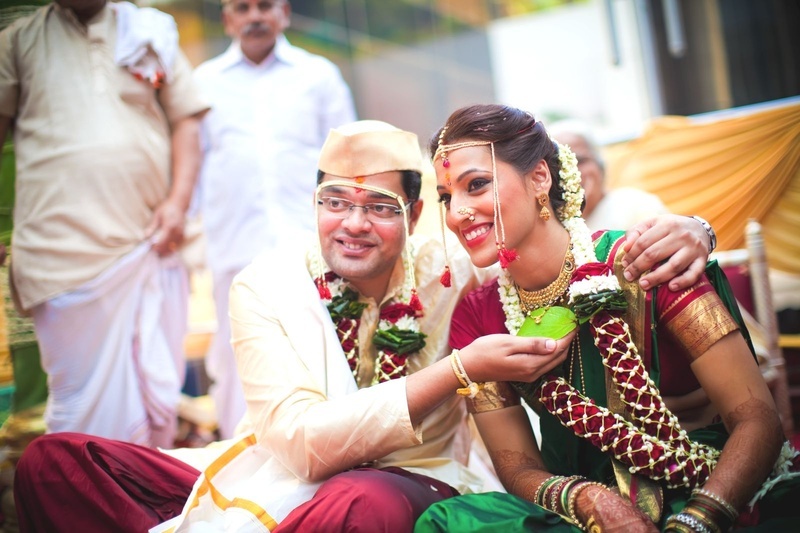 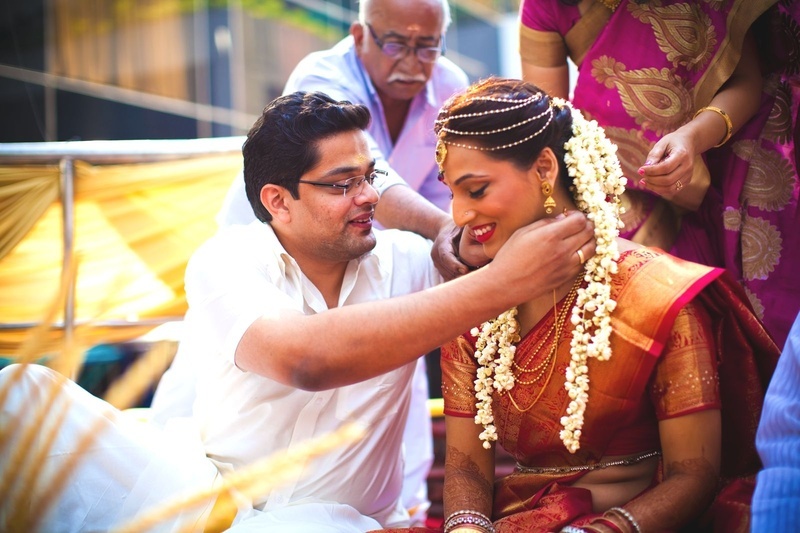 One cannot take their eyes off from the couple, who performed every ceremony in their ethnic outfits. 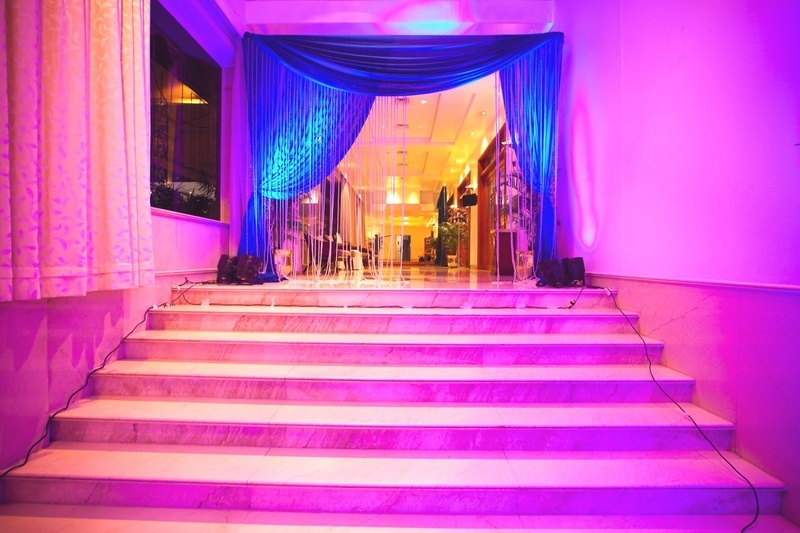 The couple’s reception had a blue theme with lightings and drapes that added a party mood to the entire surrounding. 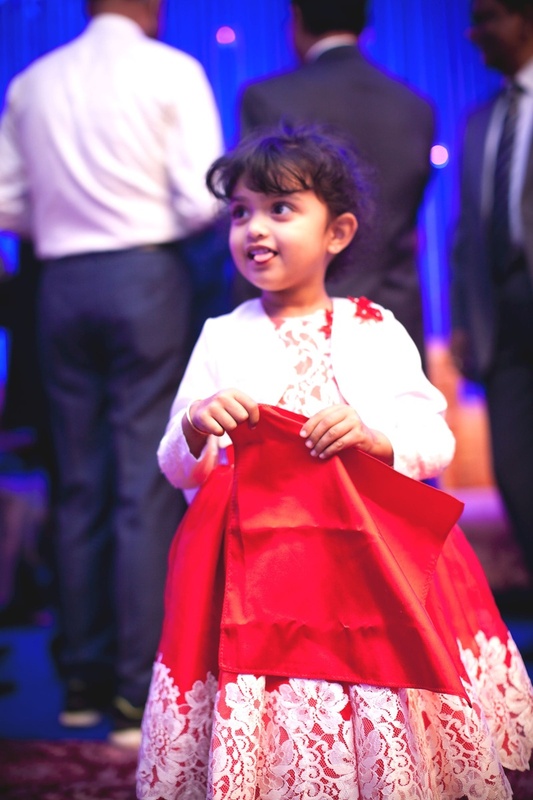 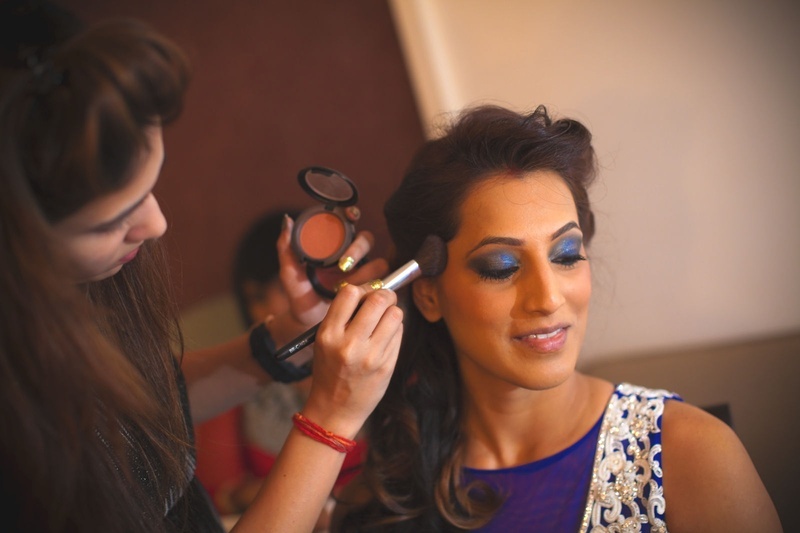 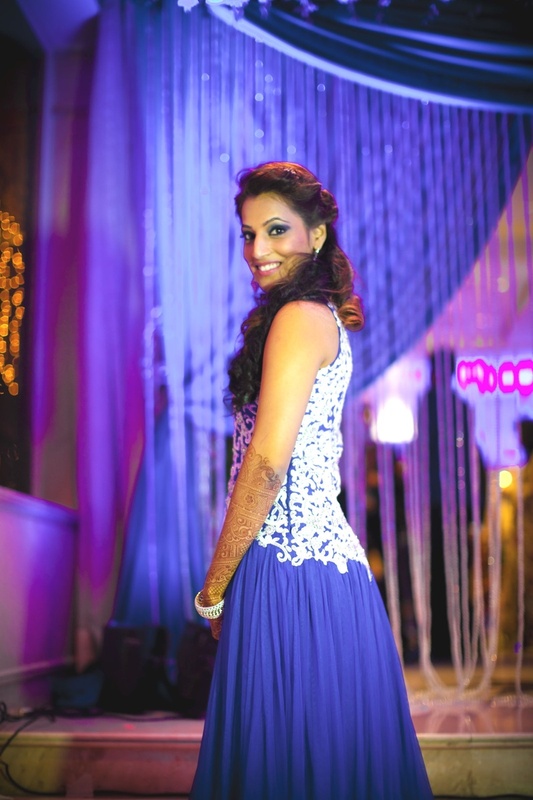 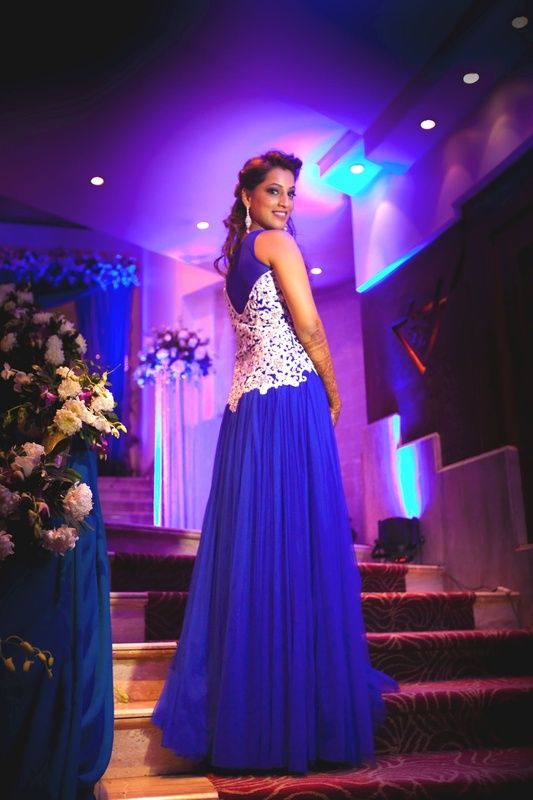 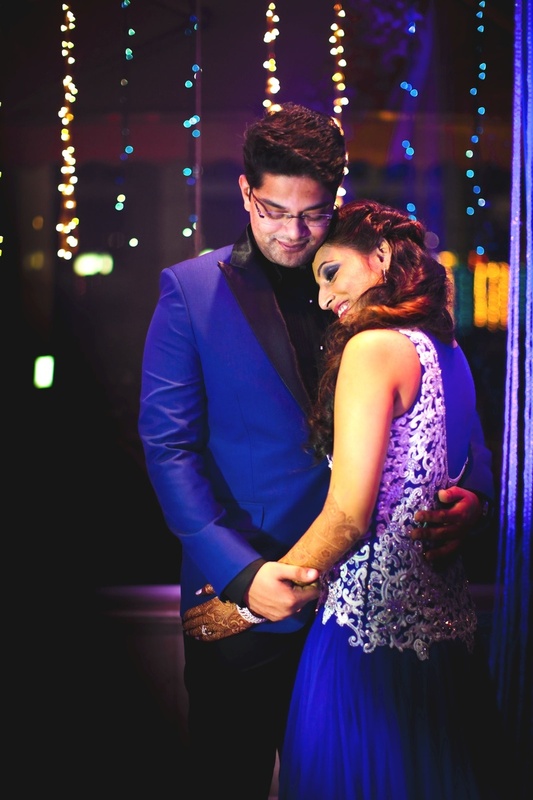 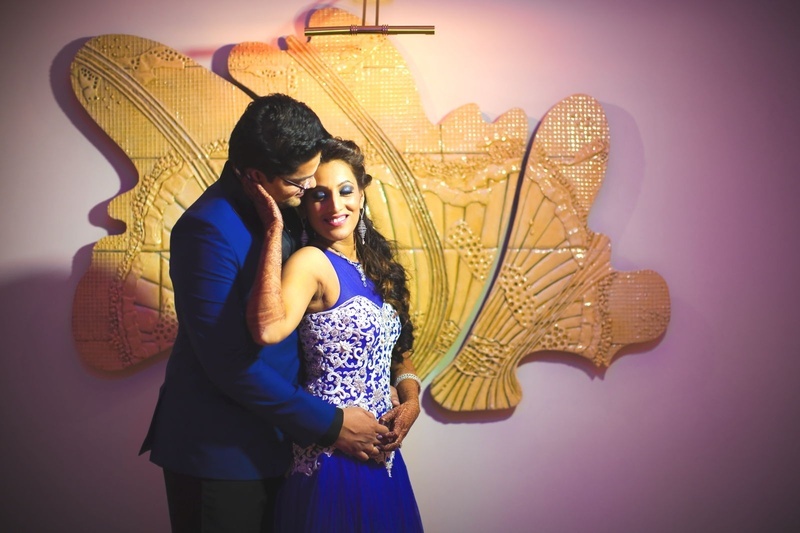 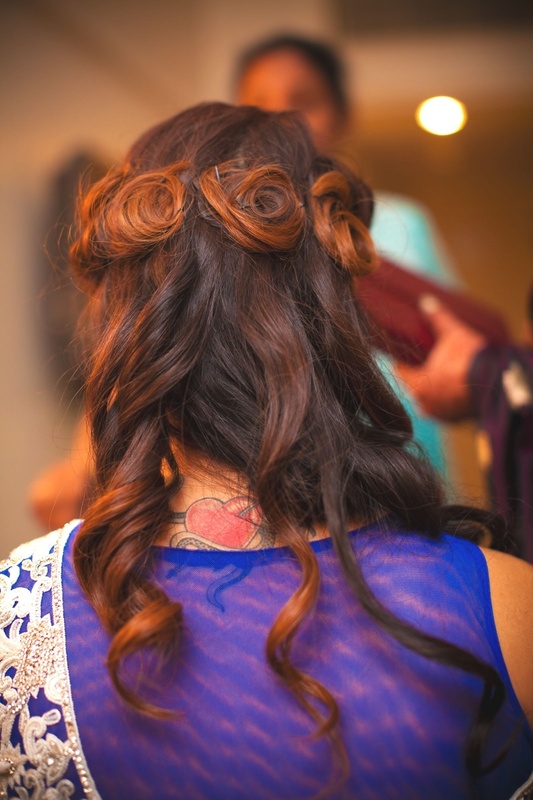 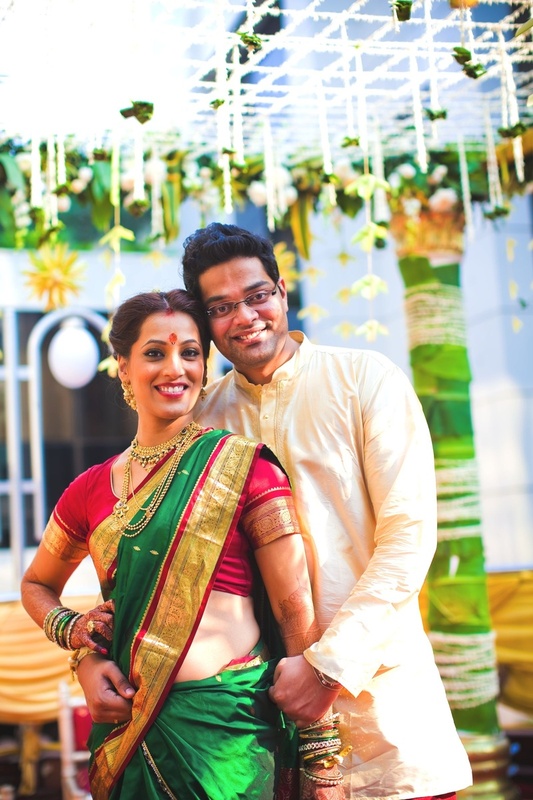 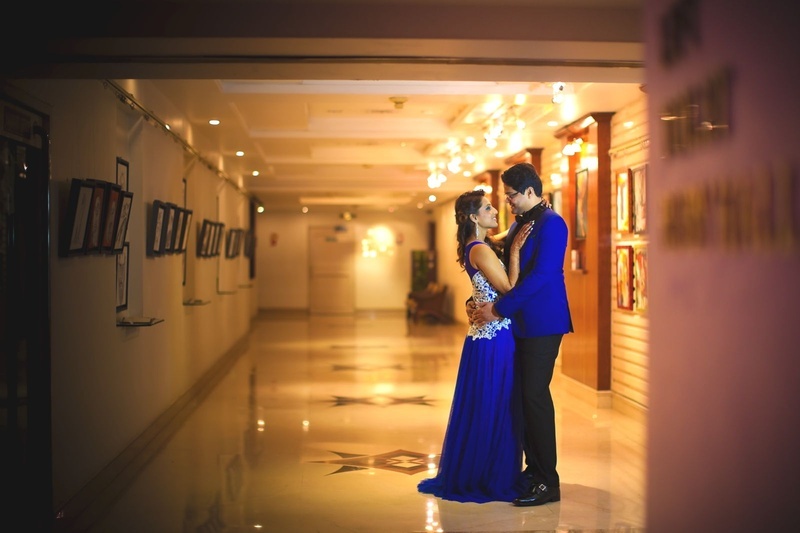 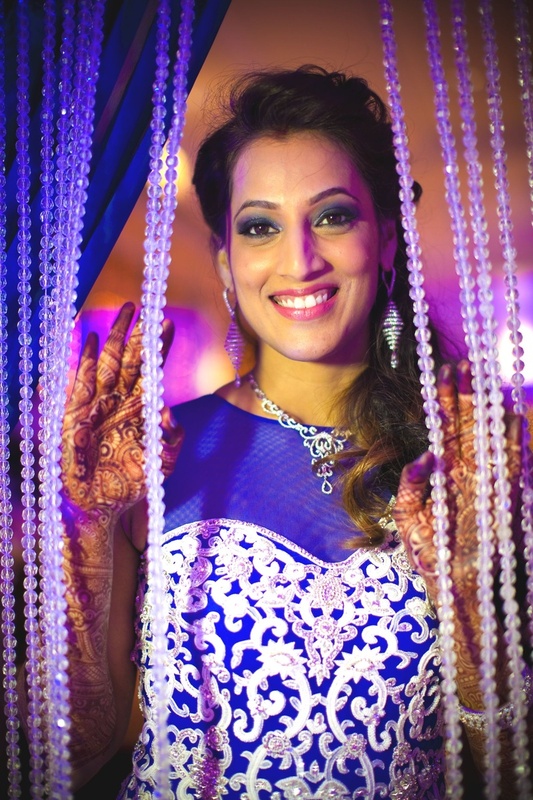 Deepa’s smokey eye shadow and her royal blue gown was an absolute show stopper. 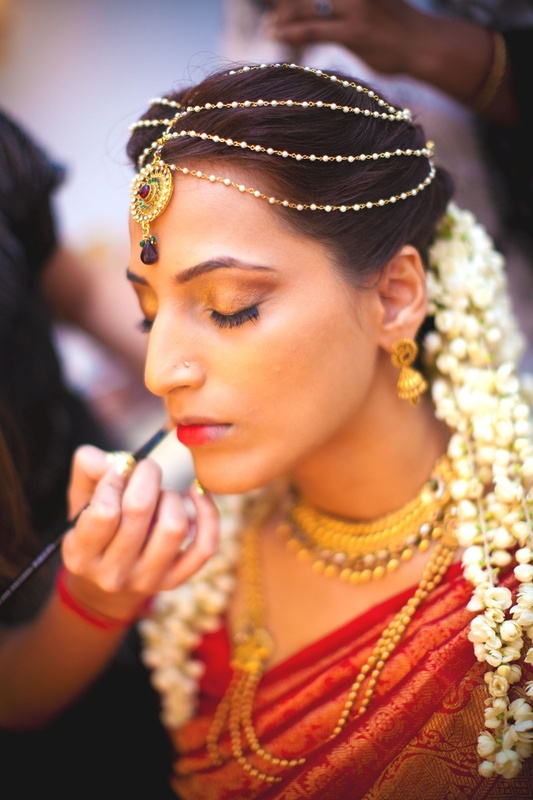 The graceful outfit was clubbed with silver ear rings and necklace that gave her a taller appearance. 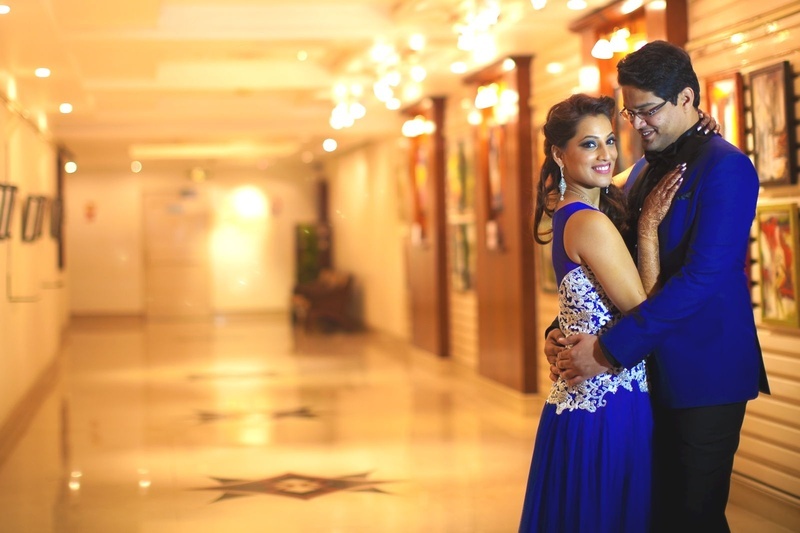 Vineet wore a blue tuxedo with a rocking black shirt and a velvet collar giving him a dashing appearance.